Yours is the restless mind that has been chomping at the bit to get out and experiment lately. You may have had an idea about what was good or bad for you come into conflict with some evidence that proves otherwise. There are times when it is best to take experiences with a grain of salt and times when it is about feeling through them. 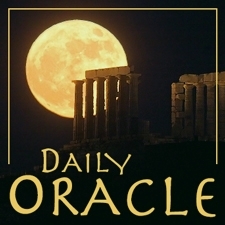 Today’s Oracle takes us to the Taurus weekly for Dec. 26, 2008. Yours is the restless mind that has been chomping at the bit to get out and experiment lately. You may have had an idea about what was good or bad for you come into conflict with some evidence that proves otherwise. There are times when it is best to take experiences with a grain of salt and times when it is about feeling through them with the sincerity of a child. How to decide what to do is about deciding what you want to gain and lose. Your impact upon the world is affected by your process of assimilating new lessons into yourself. What would the world be like if you had nothing else to do but grow? Eric is busily working on The Art of Becoming, the 2018 Planet Waves Annual; and it’s shaping up to be an exciting, information-packed edition. You can pre-order all 12 chapter-length signs here, or you may choose your individual signs here.